Vehicle owners looking for a stylish ride are turning to chrome wheels. The popularity of this modification has created a lot of options on the market. This can leave some drivers struggling to know which is the best choice for their vehicle. When you shop with Wheel Creations PVD though, you’ll find premium chrome rims that are above the rest. Our rims are durable and can stand up to harsh elements. Add that with our patented chroming process, and you have a winning combination for your Nissan. 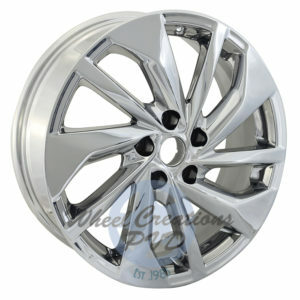 Bright chrome rims from us are stylish and affordable. See for yourself the difference they can make for your vehicle by giving us a call today. Wheel Creations utilizes a unique Physical Vapor Deposition process to create some of the most stunning rims on the market. It starts by placing rims into a vacuum chamber then pumping out all of the air before electrostatically sputtering the chrome onto each rim. This process creates a sleek look unlike anything else available and is 100% environmentally safe. We can use this popular process on rims of all types for different vehicles. In our inventory, you’ll find a great selection of bright chrome Nissan wheels that will work great on your vehicle. Alternatively, we offer an exchange program for all of your stock rims. Just send them to our facility, and we can apply a bright chrome finish to them so they will look great. Both options feature a lasting finish and look you can be proud of. Find the right option for your ride today. Here, we’ve listed some of the Nissan wheels we currently have in stock. If you don’t see your car’s model listed below, we can still work with you to get the perfect PVD chrome wheel for your Nissan. While we sell wheels outright to dealerships, body shops, and direct consumers, we will coat your wheels as well. Our PVD process is an excellent solution for vehicle rims of all styles. Every rim is given a reliable coating that not only looks great but is extremely durable too. Unlike traditional chrome options that peel or corrode over time, rims from Wheel Creations will continue to look great for longer. Even when exposed to severe weather, harsh road chemicals, curb rash, and other elements. They are an investment you can be proud of for a long time to come. When you want to upgrade your ride, there’s no better option than chrome rims from Wheel Creations. Our bright chrome plating creates an impressive look of luxury but is still affordable enough to fit any budget. You’ll be able to give your Nissan a fresh look when you add some of our stylish chrome rims. Place your order to outfit your Nissan with bright chrome rims today. We make it easy to get the rims you need – get in touch with our professional team. 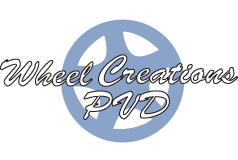 They are available by phone at (562) 381-2670 or via email at sales@wheelcreationspvd.com. Our experts will be glad to help you find the right wheel solution or tell you more about why our chrome rims are the ultimate upgrade solution.